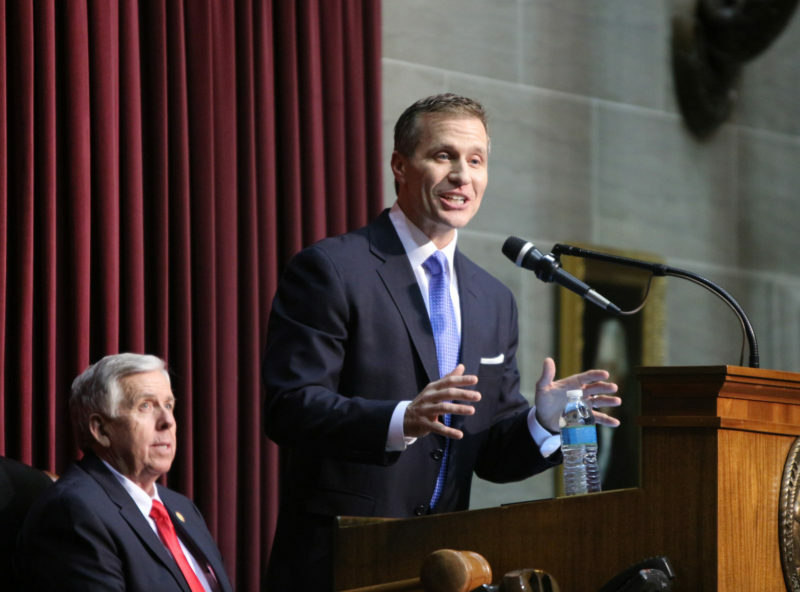 A Cole County prosecutor announced Friday he would not file criminal charges against Governor Eric Greitens after being contacted by Missouri Attorney General Josh Hawley’s office. In a press release, Cole County Prosecuting Attorney Mark A. Richardson said he would not be seeking charges against the embattled Republican governor relating to alleged campaign finance violations. Richardson did not elaborate on why he declined to seek charges against Greitens. As part of a settlement with the Missouri Ethics Commission, Greitens’ campaign filed an amended finance report in 2017 indicating it received a charity donor list from a former campaign manager. The announcement comes after the felony invasion of privacy case against Greitens was dismissed Monday after the St. Louis Circuit Attorney Kim Gardner stated she will seek a special prosecutor to handle the case. The case was suddenly dismissed during jury selection after both sides went into Circuit Judge Rex Burlison’s chambers. Following the meeting, a spokesman for the circuit attorney said the charges will be refiled with a special prosecutor. Greitens’ defense team stated they would be seeking to call Gardner as a witness to question her over allegations of influencing witness testimony. Greitens later issued a statement from front of the Civil Courts building steps following the decision to dismiss. Over the last few months of pretrial hearings, the defense team has stated that Gardner allowed former special prosecutor William Don Tisaby to commit perjury. In addition, Greiten’s lawyers have also accused Gardner’s office of continually mishandling the case and accused her of misconduct. Earlier on Monday during jury selection, the team of lawyers prosecuting Greitens stopped looking for the photo at the center of his felony invasion of privacy trial, according to Greitens’ team. Defense lawyers representing Greitens said in court Monday they were told by the circuit attorney’s office Friday that they had sifted through about 16,000 photos during a forensic examination of his phone and information from the cloud, but that they did not have the photo. Defense lawyer Jim Martin said prosecutors told him they were no longer looking for the photo. Ronald Sullivan did not dispute the claim when asked for a response by Burlison. The trial was going through a long, drawn out process of jury selection and was supposed to start Wednesday after it was originally scheduled to begin Monday. The Missouri Legislature will begin a monthlong special session to consider impeaching Greitens Friday.